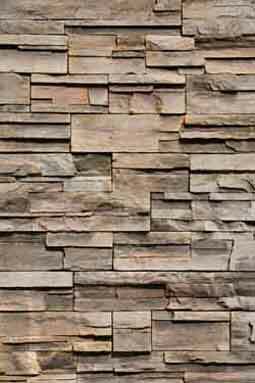 Grey Oaks offers our “mess free” chimney and fireplace sweeping. Our service provides a 21 point safety inspection to determine how well your chimney has been performing and the safety of your home or business. Grey Oaks offers high quality Energy Saving Dampers for maximum protection from weather, drafts, heat loss, critters, debris and odors. These dampers ensure a tight seal from a rubber silicone gasket to help reduce energy loss by 90%. They are a great alternative to replace warped, rusted, leaky metal on metal throat dampers. With proper installation, you will save on your energy bills within the first year of use. Each model comes with a lifetime warranty and a personal recommendation. Grey Oaks offers high quality chimney caps. Sold by professionals, these caps are made with 100% 304 Stainless Steel, Black painted galvanized steel or Copper. Each cap is 18-ga base and mesh, 24-ga lid, 8” screen height, ¾” mesh. 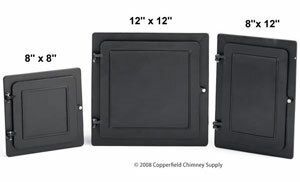 These sturdy caps keep all critters, rain, snow and debris from entering your chimney. · Lifetime Warranty on Stainless Steel and Copper. · 3 Year warranty in Black galvanized. 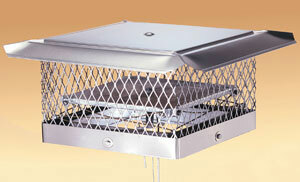 Grey Oaks offers both, custom fitted outside mounted and knock down Multi-flue caps, to fit any size chimney. They are made with 100% 304 Stainless Steel, Black painted galvanized steel or Copper. 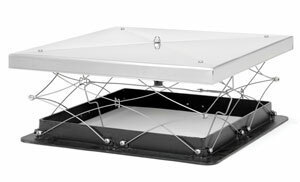 Each cap is 18-ga and ¾” mesh, 24-ga lid, 8”,12”,16” screen height to provide an attractive solution to protect against critters, rain, snow and debris. Our masons are experienced brick layers that use all industry standard products and tools to ensure your chimney or fireplace is repaired professionally and beautifully. 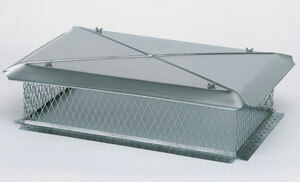 Grey Oaks offers high quality custom fitted chase covers to get rid of those rusty, leaky, unattractive covers. 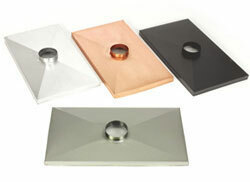 These covers are made of 100% 304 Stainless Steel, Black painted galvanized steel or Copper. 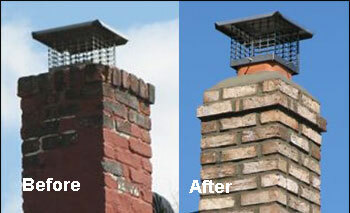 A custom chase cover is an attractive solution to protect your brick or wood constructed chimney. · 7 Year warranty in Black galvanized. Grey Oaks offers high quality insulated cast aluminum clean-out doors to replace an old rusted drafty door. These doors come with a screw-locking mechanism for air tight sealing to keep out cold winter air and curious critters.